I have bad news and good news: which do you want first? 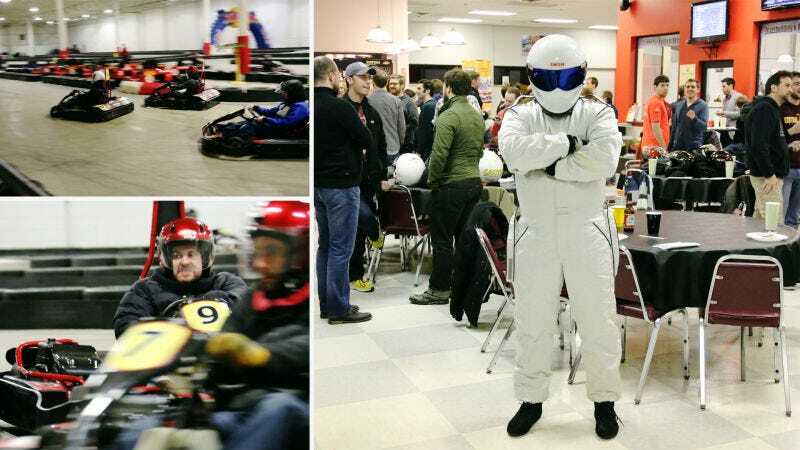 (Waits patiently) Okay fine, the bad news is our annual pre-Detroit Auto Show karting tournament at Kart2Kart in Sterling Heights is now all full up. Unless some folks who RSVP’d don’t show, you can’t race. But come hang out anyway! God, that looks fun. I may have to talk my way into it. Yes, I can ride a motorcycle! How hard can it be? Check in : 6 p.m.
Mini Grand Prix format. All drivers receive two Qualifying Races and chance to make the Trophy Dash. Trophies for Podium Finish Drivers.